The original bronze alloy used in Lincoln Pennies from 1909 through 1942 returned, beginning with Lincoln wheat Penny coins struck in 1947. These bronze Pennies (made with a composition of 95 percent copper, 5 percent tin and zinc) were a reprisal made after the so-called “shell case” Pennies of 1944 through 1946, which are 95 percent copper, 5 percent zinc (no tin) and a derivative of recycled ammunition shells used during World War II. The reappearance of the original bronze composition is about the only major highlight for 1947 Lincoln Wheat Penny coins, which are nearly as common as any other Lincoln Cents from the decade of the 1940s. Counting each of the three usual Philadelphia, Denver, and San Francisco Lincoln Cents of the year, there are really only three significant “varieties” of cents from 1947. 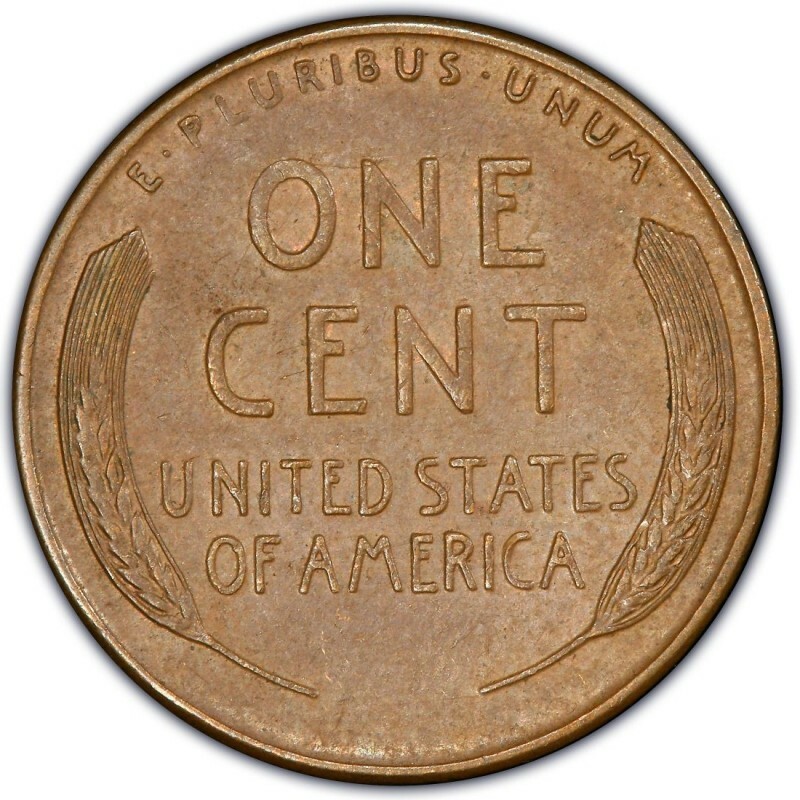 While mintages were down substantially from previous years in the 1940s, none of the 1947 Pennies from any of the three mints in operation at the time is scarce. The mintage figures for 1947 break down the following way: 190,555,000 minted in Philadelphia; 194,750,000 in Denver (D); and 99,000,000 in San Francisco (S). 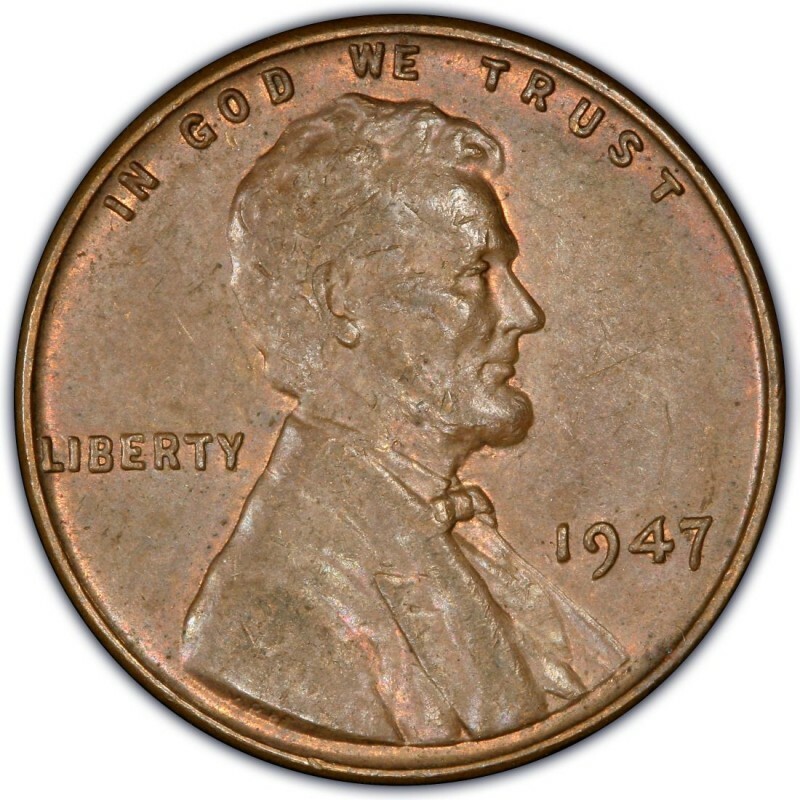 Each of the 1947 Pennies can be purchased for less than 20 cents in circulated condition; decent uncirculated examples of the 1947 Penny can be had in Mint State grades for around $5 or less each. You can also check your pocket change or bank rolls for 1947 Wheat Penny coins, which still occasionally turn up in circulation.